Mishie Wishie: "Frozen" Review Part 1: Character & Story with SPOILERS! "Frozen" Review Part 1: Character & Story with SPOILERS! It's been a while, hasn't it? Well, I'm back with a review of another Disney film! Was it really last year that I wrote about Wreck-It Ralph? Whoa! Click HERE to go to my review! From now on, I'll be posting anything art-related like reviews and such on my Tumblr page! I'll have a tag on it! And I'll be reposting the link here as well! Here's a doodle I made for this review! 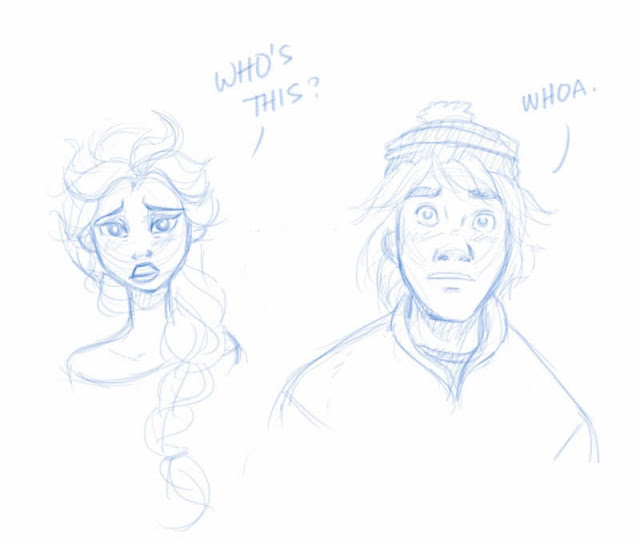 ;) Elsa x Kristoff, anyone?